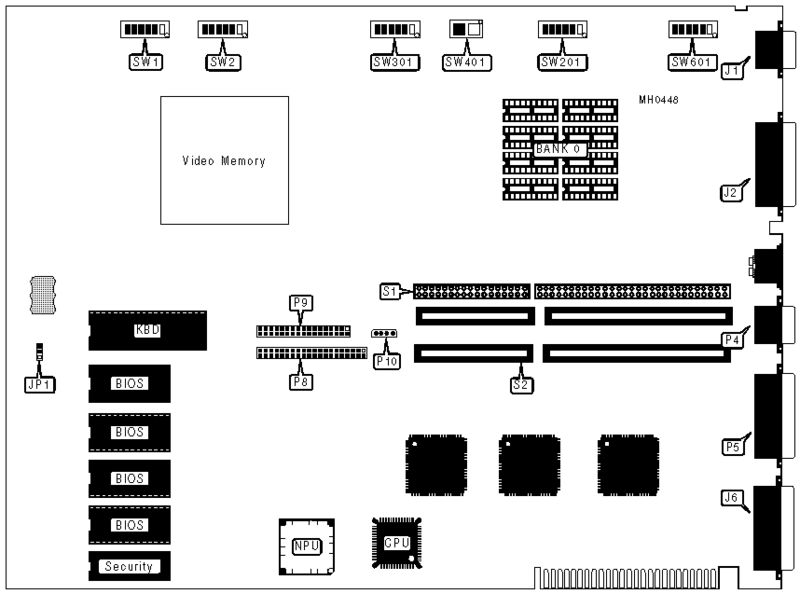 Notes: On main boards not having a JP1, CMOS memory functions are controlled by SW301/switch 6. Chipset & CPU locations unverified. Note:Memory size and location is unidentified.